Manager Alex McLeish was already without skipper Andy Robertson following the Liverpool player’s withdrawal due to dental surgery. Celtic’s Tierney was set to deputise for Robertson, but will now miss Thursday’s match due to an apparent hip problem, the Scottish Football Association has announced. Tierney played through a niggle during Celtic’s win over Dundee on Sunday. The 21-year-old sat out training in an indoor arena in Astana on Tuesday, undergoing some work on his own back at the team hotel, but has failed to recover in time. Robertson missed the team flight to Astana to have treatment on Monday and was told by medical staff that he needs more time for his mouth to settle down. However, he will be available for Sunday’s second Group I qualifier against San Marino. In a press conference today, McLeish revealed that Tierney’s Celtic teammate Callum McGregor would be named captain for the game. 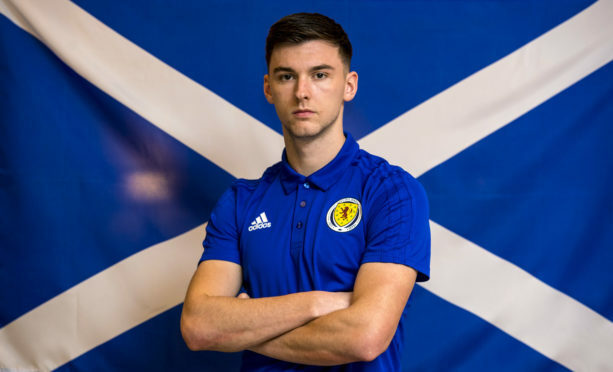 McLeish said: “Over the past few years Callum has shown tremendous ability on the field but also he is a very good ambassador of football on and off the pitch. An unfussy player, nothing seems to bother him.